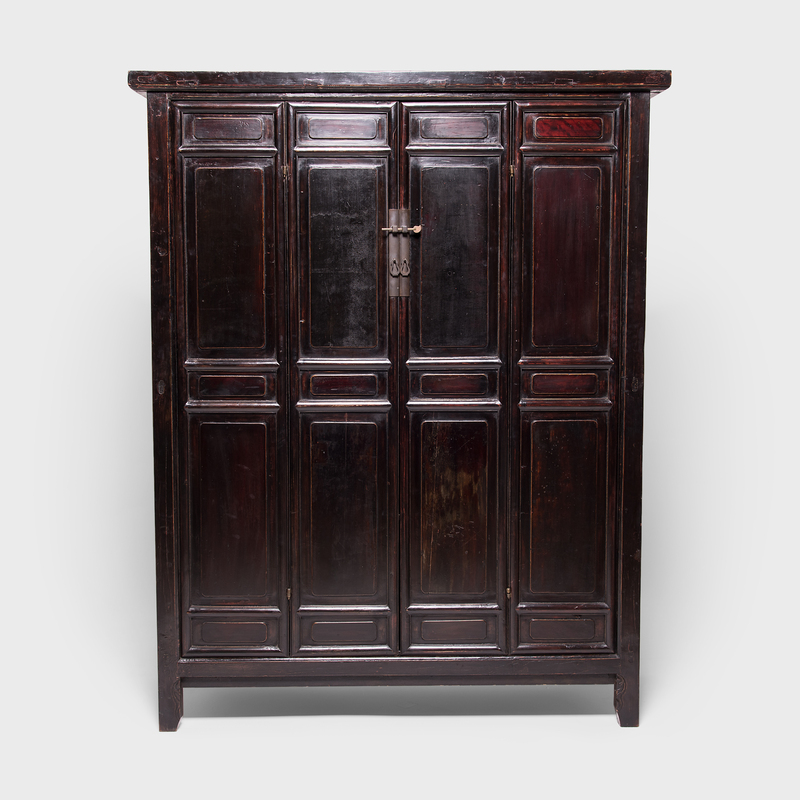 W: 43.0" D: 16.25" H: 85.75"
This amazingly versatile cabinet from Suzhou province allows you to easily switched from closed storage to open shelving by removing one or more of its doors. 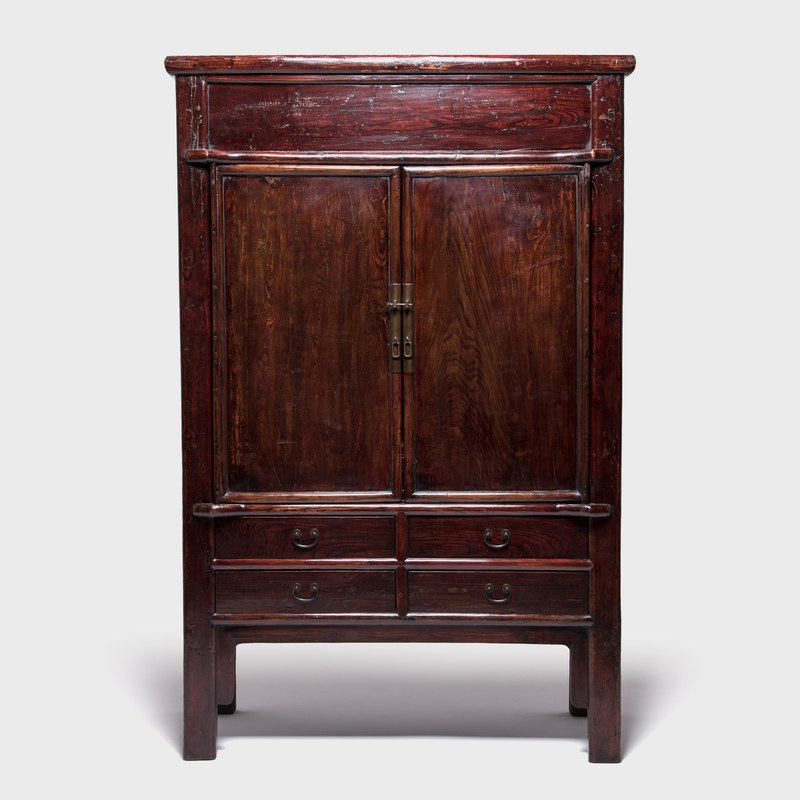 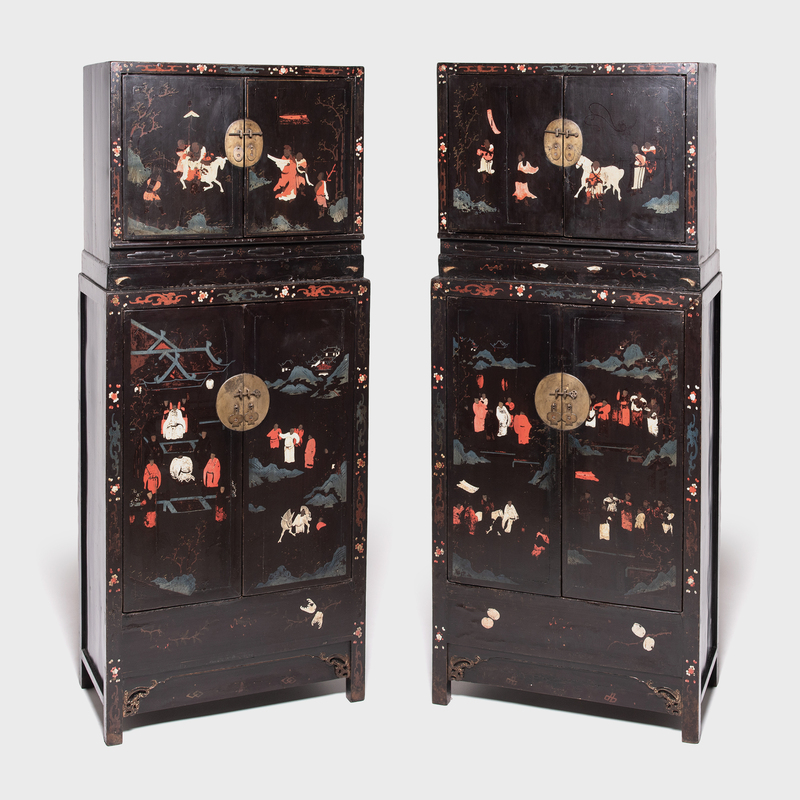 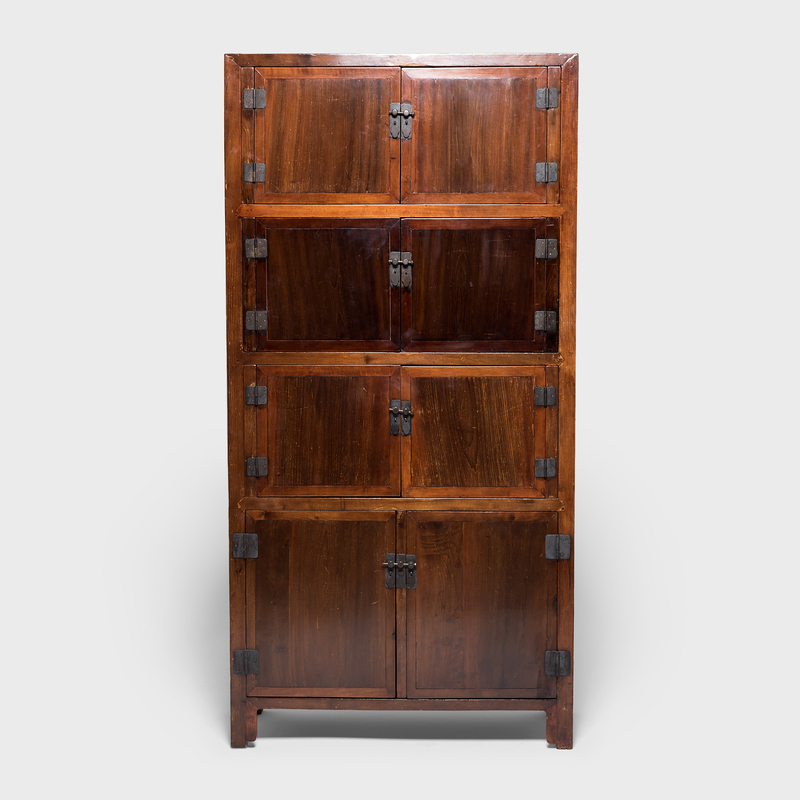 Made around 1850, the cabinet looks much as it did when it was first built, owing to the resiliency of cedar, a wood that’s highly resistant to decay. 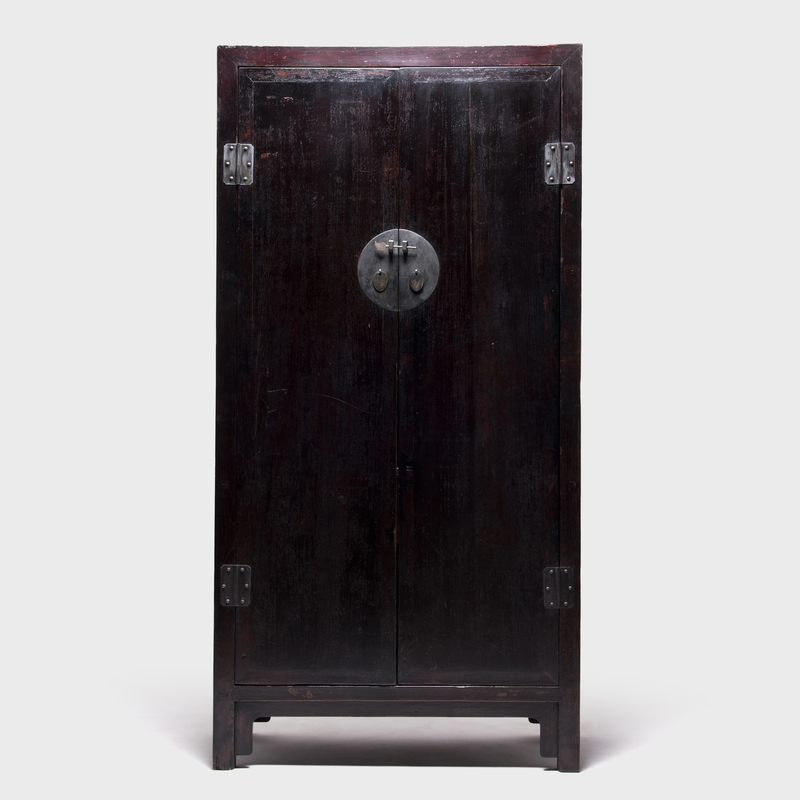 Brass hardware, including handsome moon plates, adds subtle decoration and the luster of metal.